This Packaging System Agreement covers the most important subjects and will help you to structure logistics and communicate in a professional way with those involved. The 3 step process virtually guarantees you can finish and print your legal document in minutes! Feel free to download our basic or advanced template designs, they are intuitive and in several kinds of formats. Completing your legal Packaging System Agreement was never simpler! 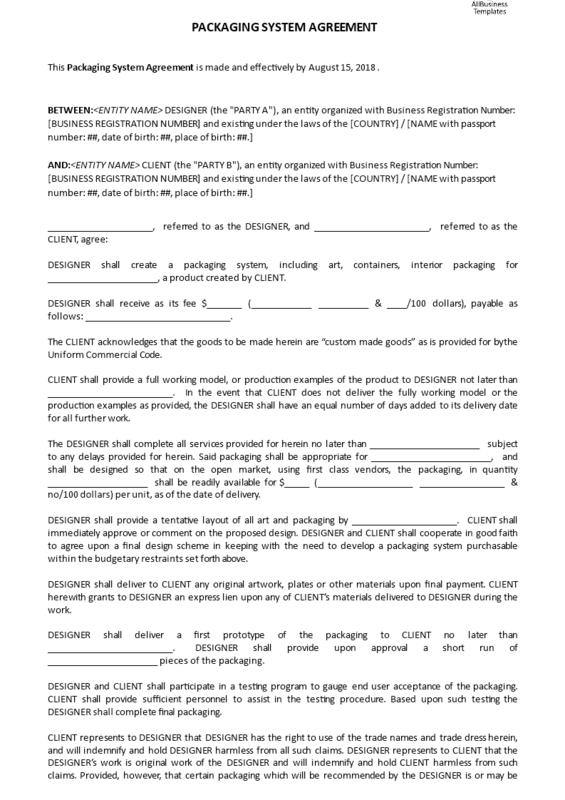 Download this legal Packaging System Agreement template if you find yourself in this situation and save yourself time, efforts and probably reduce time!